One Sol. 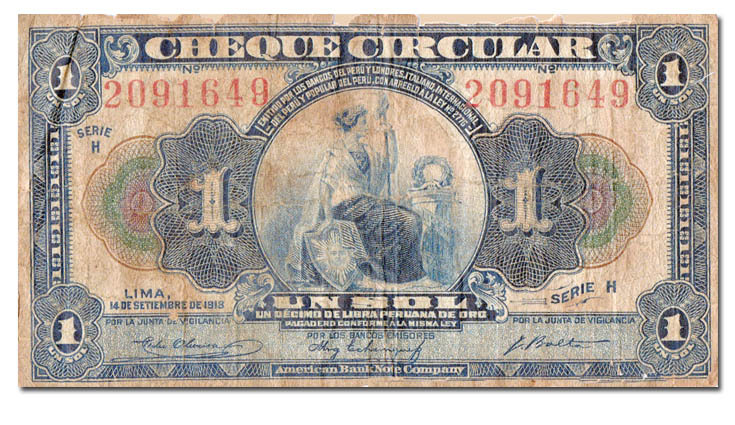 It was the unit of money between 1863 and 1985, to cite wikipedia, and it replaced the Real. It was abut one sole for one dollar at first. Thirty-eight soles per dollar by the time it headed out.